Explaining a Career Break on your CV. People take career breaks for a number of reasons, but many people are afraid of how this gap may appear to potential employers. 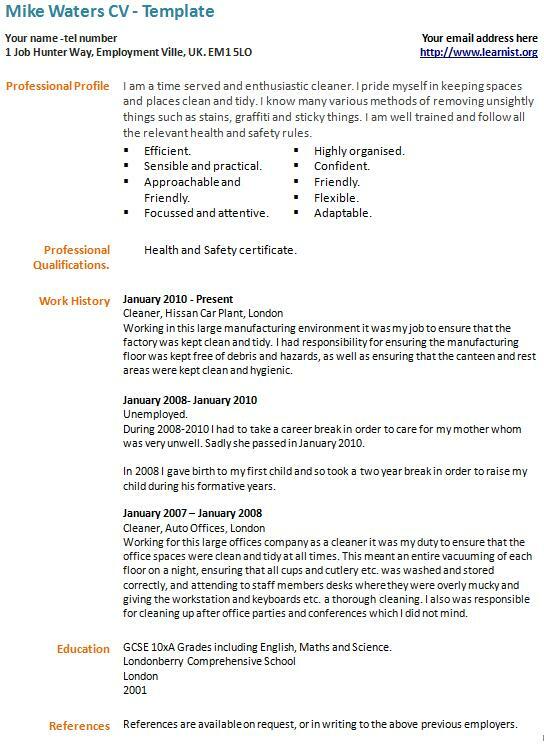 The best thing to do is to explain in your covering letter that you have had a career break and be honest about the reasons; perhaps you have had a child, or a period of illness. Honesty is the best policy, and adds that you are keen to get back into the job market as soon as possible. I have illustrated below an example of how you can show a career gap in your CV. During 2008-2010 I had to take a career break in order to care for my mother whom was very unwell. Sadly she passed in January 2010. In 2008 I gave birth to my first child and so took a two year break in order to raise my child during his formative years.